Installing a steam boiler system in your facility? Here’s what to avoid (and what to do instead) to achieve a successful install. The last time your organization installed or replaced a steam boiler system, you probably hadn’t even considered the fact that someday you might be tasked with scoping one. If it’s not something you’ve ever done before, it might still seem a little implausible. Having little or no working knowledge of systems like these can be daunting, and making design and scoping mistakes can be costly – to the organization and to you. That’s why it’s important to gather as much information as you can before digging in. Steam boiler systems aren’t necessarily complicated, but they can be tricky to design and scope. There are a number of types to choose from, variables to consider and challenges to overcome. With this brief as your guide, though, you should be able to lay out your first one like and old pro. A steam boiler system is an economical way to create and move steam around a plant for things like heat, processing and power generation. The concept is fairly simple. Water placed in a steam boiler is heated using a fuel source. The boiling water produces steam. The resulting steam is then transferred through pipes across the plant to accomplish the function it’s designed to perform. There are two basic types of steam boilers: fire tube boilers and water tube boilers. These two designs serve different capacities and market sectors. A fire tube boiler uses multiple passes of tubes submerged within a water tank. Flue gases pass through the tubes to heat the water. The steam that’s generated is distributed throughout the plant. Fire-tube boilers offer a compact and economical design for lower steam production rates. A fire-tube boiler will be the only choice for processes needing 300 Hp capacity or less. While every situation needs to be evaluated on it’s own merits, a fire-tube boiler is usually the most economical for 1,200 Hp or less, however units are available up to 2,200 Hp. Several models are limited to 250 psig design pressure, with some designed for a maximum pressure of 350 psig. A water tube boiler is essentially the opposite of a fire tube. The water runs inside the tubes, while the flue gas passes around the outside. This type of boiler can generate steam up to 5,000 psig. It is a more robust design with a longer operating life. This design starts to become more economical around 1,200 Hp. A water tube boiler is a better choice for large steam capacities and steam turbine power generation. With the addition of an economizing bank, this design will be more energy efficient. Fire tube and water tube boilers can operate in either open or closed systems. A closed system allows you to collect all the condensate, return it to the boiler and reuse it. It’s more cost- and energy-efficient because the returned water isn’t cold and can be reheated with less fuel. A closed system only works, however, if the process it’s powering doesn’t contaminate the condensate. With an open system, the steam is lost to the process. It’s inherently less efficient since it will take more water and more energy to heat it when it’s introduced to the boiler, but it does ensure that any process contaminants are removed from the system. 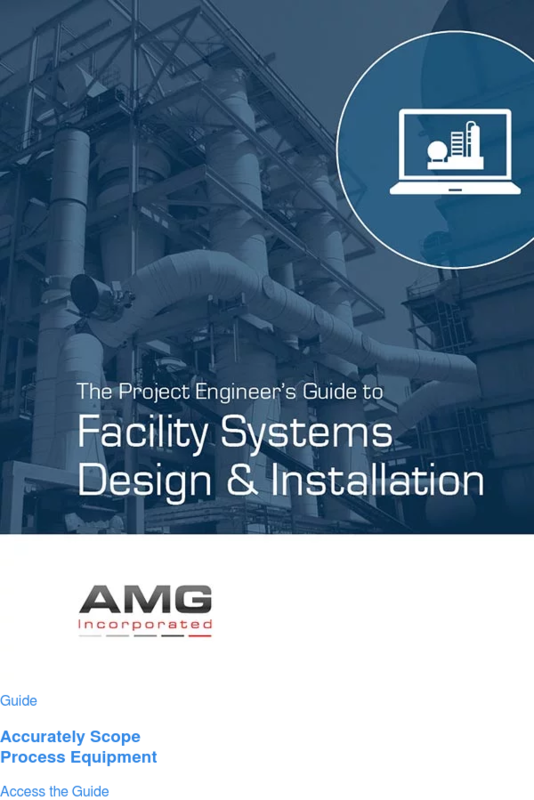 Open systems are common in facilities that purchase steam from a utility or another processing plant and returning the condensate imposes undue risk or is not cost effective. It is common for a facility to operate as a partially closed system. There are certain unit operations that require direct inject steam that cannot be recovered. The balance of the condensate is returned to the boiler. There are several different fuel sources that can be used for boilers. With new recovery technologies, world wide demand for petroleum and environmental regulations, the boiler fuels landscape has changed drastically in the last 30 years. Natural Gas has become the fuel of choice for boilers. are logistically pretty easy. The gas is piped directly into the plant like any other utility. The fracking technology has increased availability and decreased the price, making it the most cost effective option. Natural gas is a very clean energy source, so pollution control isn’t a budget buster. It is ideal for most facilities, and the boiler industry has responded with several design options to meet the growing demand. Fuel oil has traditionally been an alternative fuel option to hedge against high natural gas prices. Dual fuel options are available on several boiler models. With the increased price of petroleum, fuel oil is not nearly as popular as it used to be, even though there are extensive distribution networks in some parts of the country. Improved fuel blends and burner technologies have improved emissions significantly. Biomass has emerged as an alternative fuel source. If you have access to a waste stream that’s usable but not otherwise valuable, a biomass boiler might be a good choice. It uses the by-products from other facility processes as fuel. That includes materials like wood, bark, sawdust, corn cobs, organic waste. It may be possible to use biomass as the primary heat source if there is a reliable supply and enough energy value. In many cases, it is used as a supplemental heat source to reduce the amount of purchased fuel. Coal has fallen out of favor at the moment with the political climate, environmental regulations, transportation and storage costs. Coal boilers require rail receiving, storage and pollution control equipment for fly ash particulate, making a coal boiler installation much more capital intensive by comparison. The fuel of choice will ultimately depend on the fuel price, site location, size of boiler and available infrastructure. Capacity may be the biggest factor in designing your steam boiler system, but it’s by no means the only one. Here are a few other design considerations that are worth some time and analysis. Sizing – Steam boilers run best almost wide open, so you don’t want to size them for too much excess capacity. Expect them to run at 80 to 95 percent firing rate and size them accordingly. If you’re thinking capacity might increase at some point, it’s tempting to install one big boiler to handle that future need. That could be a mistake. You may be better served by sizing to your current need, adding a new boiler later and running both wide open than having one big boiler running below its ability. Fuel Choice – We mentioned above how much fuel price and availability affect the boiler buying decision. Your fuel choice impacts design and operational efficiency as well. Make sure you consider the logistics involved in fueling your boiler before you decide on one. Emissions – The boiler may be the largest emission point in the plant. Emissions can vary depending on the fuel source. Be sure to design with those considerations in mind. If you have a thermal oxidizer in your process, you might consider a recovery boiler during the design phase too to increase your system’s overall efficiency. Purpose – What you’re using your steam boiler to do is as important as how it does what it does. Do you just need plant steam or are you using it for power generation? What is the maximum pressure requirement? There are design implications around either answer; make sure you address them. Recovery boilers are an interesting option for plants that have a thermal oxidizer to meet VOC emissions off dryers or other equipment. A recovery boiler can efficiently recover the heat from that exhaust to generate steam for the plant. This can be designed as a supplemental boiler or the main boiler, depending on the size of the thermal oxidizer and plant steam requirements. This can offer a lower capital option when compared to a regenerative thermal oxidizer and a separate package boiler. Ancillary Equipment – It’s easy to overlook additional capital investment items when scoping systems like these, but there are a number of important ones to keep in mind when it comes to steam boilers. Combustion air fans, forced draft fans, boiler feed water pumps, water softeners, deaeration equipment, boiler chemicals and treatment systems are some of the bigger ones. Some are immediate and some are ongoing, so make sure to plan and budget for both. As with any system of this size and scope, there are a number of challenges to keep in mind both up front and down the road. Here are several of the most common when it comes to steam boilers. Pipe Sizing – Boilers located in a separate utility building may have a very long piping run to get to the other end of the plant. A common mistake is sizing the main header too small and incurring a substantial pressure drop at the end of the run. Cycling - Turning equipment on and off frequently can create pressure-vacuum cycles in the equipment. Overtime, this can cause mechanical failure in tubes or jackets. Installing vacuum breakers and air vents is the best strategy for ensuring longevity of your equipment. Keeping It Clean – Boiler piping is usually the dirtiest when it is new. It’s important to install valve-equipped dirt legs at strategic locations along the system to collect and remove water, dirt, slag and rust that could clog or damage equipment. It is essential to have a soft water and a good chemical system to continuously keep the system clean from scale and rust. Adding On – In older facilities, it is common to see multiple plant additions or a series of equipment added on one at a time over several years. One more small addition and suddenly, the plant cannot get enough steam. This could be boiler sizing, main header sizing, condensate return system sizing or a combination of multiple factors. In many cases a complete steam system survey is needed to identify all the bottlenecks. Trapping – Once you’ve generated quality steam, you don’t want to lose that energy by short-circuiting through equipment. That’s why it’s important to have proper trapping. It collects any condensate and keeps the steam where it belongs – in process equipment until the energy is transferred and is condensed. Flash Steam – Steam traps maintain a substantial pressure drop between the steam system and condensate system. Flash steam is generated as condensate passes through the trap from higher pressure to lower pressure. The best design allows flash steam to vent to a lower pressure steam system. This prevents steam/water hammer, vapor locking and a myriad of other problems. It will ensure a longer trap life with minimal maintenance. Pressure Management – It’s not uncommon to have different steam pressure levels in the plant. Some equipment will require low or medium pressure steam. Just reducing the pressure through a valve creates superheated steam, which has poor transfer properties. The best design practice is to use steam desuperheater to maintain saturated medium and low pressure steam. Whether you’re introducing, replacing or supplementing a steam boiler system at your facility, don’t be overwhelmed or let inexperience lead to miscalculations. Do your homework. Understand the problem you’re trying to solve. Know what works for your process and your market. Try to anticipate challenges. Make a list of questions. Talk to an engineer. The more you know, the better your decisions will be. That will be good for you and your organization.